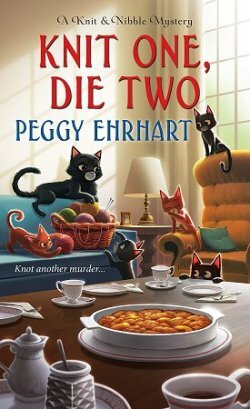 October 2016 New Mystery Releases! Pool season is over, and I'm back to reading all my books on dry land. I do keep saying that one of these days, we'll have the pool heated... which reminds me of a couple from the Seattle area who bought a house down here a few months ago. Used to the summers of the Pacific Northwest, they made sure the pool heater was turned on down here in the Sonoran Desert. It didn't take them long to realize that pools need cooling, not heating, here in the summer! 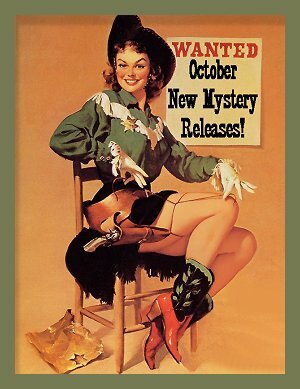 I'm sharing with you my picks of the new crime fiction being released throughout the month of October. I think it's the first time that I'll be reviewing most of my picks on their release dates. Speaking of release dates, that's how I have the books grouped, and I've included all the information you'll need to find them at your own favorite book procurement sites. Book synopses are courtesy of Amazon. Happy Reading! Series: #6 in the Maggie Hope historical series set in London during World War II. Synopsis: "England, 1942. The Nazis’ relentless Blitz may have paused, but London’s nightly blackouts continue. Now, under the cover of darkness, a madman is brutally killing and mutilating young women in eerie and exact re-creations of Jack the Ripper’s crimes. What’s more, he’s targeting women who are reporting for duty to be Winston Churchill’s spies and saboteurs abroad. The officers at MI-5 quickly realize they need the help of special agent Maggie Hope to find the killer dubbed “the Blackout Beast.” A trap is set. 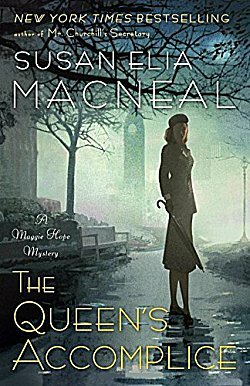 But once the murderer has his sights on Maggie, not even Buckingham Palace can protect the resourceful spy from her fate." 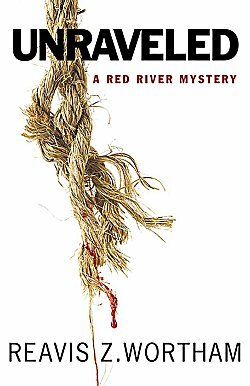 Series: #5 in the Red River historical series set in 1960s Texas. Synopsis: "The small, rural Northeast Texas community of Center Springs has seen its share of troubles during the 1960s, everything from kidnapping, murder, and bank robbery. By 1968, the residents think life has finally quieted down, but they find their peaceful way of life is quickly spinning out of control as a decades-long family feud between the Clays and Mayfields once again flares to life. Fourteen-year-old Top Parker who lives with his grandparents Constable Ned Parker and Miss Becky in a little farmhouse near the Red River finds himself caught up in another adult situation sparked by a mysterious fatal single car accident involving the white mayor of Chisum and his black female assistant. Questions and accusations arise about their relationship as the families wreak vengeance on each other. But what is the significance of a man calling himself the Wraith, who moves through region at will, invading homes and watching the Parkers? What is Maggie Clay’s secret? That she’s half white and married to a black man with a long criminal past? And was Mayor Frank Clay, the only bright spot in a dark and cruel family, really what everything thinks he is? It’s a busy time for Sheriff Cody Parker, who finds himself a possible suspect in the murder of several residents. He takes the advice from his Deputy John Washington and removes himself from the investigation, giving free reign to both John and Deputy Anna Sloan as they try and unravel the answers by following different paths. 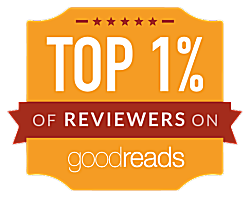 The ending will leave you staggering as the families clash on a small battlefield and the killer is finally revealed in a most unexpected way. These aren’t the 1960s that most Baby Boomers remember." Standalone thriller set in present-day North Carolina and Washington, DC. Synopsis: "The Singularity-the looming point of no return when Artificial Intelligence surpasses human cognitive abilities, with consequences no one can foresee, and only a handful of people understand. 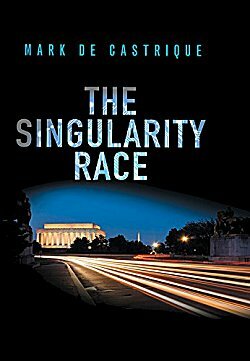 Rusty Mullins, ex-Secret Service, has never heard of the Singularity. He only knows that after the deadly challenges of his last job for security firm Prime Protection, he swore he'd stop risking his life on assignments. Then his good friend Ted Lewison, head of Prime Protection, asks him back for a routine mission guarding Chinese scientist Dr. Lisa Li and her seven-year-old nephew, Peter, and Mullins agrees. The conference on AI bringing Dr. Li to Washington, DC, is barely under way when a team of assassins storms the room. The carnage is great but Mullins saves Dr. Li and Peter while the attackers kill the two other AI experts, along with Lewison. His widow begs Mullins to uncover the power behind the group claiming credit for the assassinations. Is "Double H" homegrown, or part of a larger international conspiracy? Enter eccentric tech billionaire Robert Brentwood who requests Mullins continue to guard Dr. Li and Peter. Brentwood seeks the Singularity and believes Dr. Li holds the key. Mullins agrees in exchange for running his investigation through Brentwood's extraordinary computer resources. The quest leads him on an unexpected path from Naval Intelligence and the Oval Office to a secret research lab in the North Carolina mountains. No one can be trusted-the race for the Singularity is a global winner-takes-all contest. Yet, terrifyingly, a machine with capacity exceeding human intelligence can outstrip all controls while possessing no moral or ethical brakes. As the AI stakeholders go all out, Mullins must face his own singularity-the point of no return-when not just he but his family and Dr. Li's will become casualties in what amounts to war." Series: #5 in the Book Collector cozy series set in New York state. But the trip goes downhill fast when Jordan is pushed from a cable car and barely escapes death. And when a dark sedan tries to run the couple down, it’s clear someone’s after them—but who? Just like in Hammett’s world, nothing is quite what is seems..."
Standalone, but third in this series of short stories. Synopsis: "In this follow-up to the acclaimed In the Company of Sherlock Holmes, expert Sherlockians Laurie King and Les Klinger put forth the question: What happens when great writers/creators who are not known as Sherlock Holmes devotees admit to being inspired by Conan Doyle stories? While some are highly-regarded mystery writers, others are best known for their work in the fields of fantasy or science fiction. 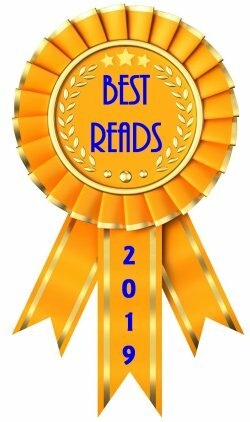 All of these talented authors, however, share a great admiration for Arthur Conan Doyle and his greatest creations, Sherlock Holmes and Dr. Watson. 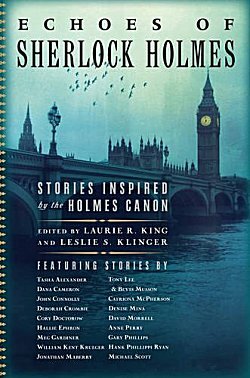 Although not a formal collection of new Sherlock Holmes stories―however some do fit that mold―instead these writers were asked to be inspired by the Conan Doyle canon. 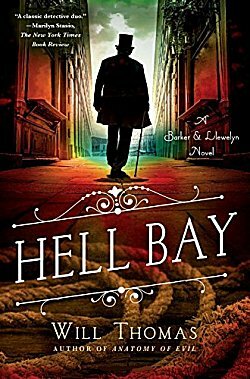 The results are breathtaking, for fans of Holmes and Watson as well as readers new to Doyle’s writing―indeed, for all readers who love exceptional storytelling." Series: #3 in the Max Rupert series set in present-day Minneapolis. 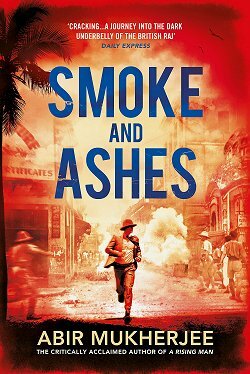 Synopsis: "Detective Max Rupert and attorney Boady Sanden’s friendship is being pushed to the breaking point. Max is convinced that Jennavieve Pruitt was killed by her husband, Ben. Boady is equally convinced that Ben, his client, is innocent. As the case unfolds, the two are forced to confront their own personal demons. Vividly told from two opposing perspectives, the truth about the stunning death of Jennavieve Pruitt remains a mystery until the very end." Series: A collection of short stories that tie in with the Mary Russell and Sherlock Holmes historical series. 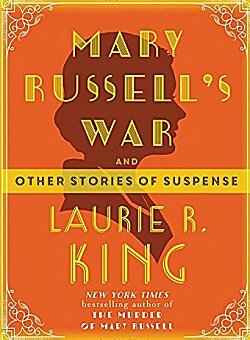 Synopsis: "In nine short stories, seven of which have never previously been available in print, and one brand new, never-before-seen Sherlock Holmes mystery―available together for the first time―Laurie R. King blends her long-running brand of crime fiction with historical treats and narrative sleight of hand. At the heart of the collection is a prequel novella that begins with England’s declaration of war in 1914. 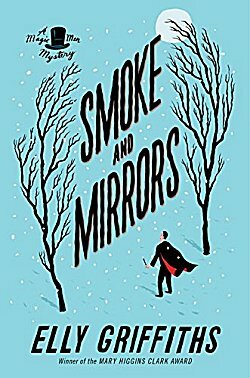 As told in Mary Russell’s teenage diaries, the whip-smart girl investigates familial mysteries, tracks German spies through San Francisco, and generally delights with her extraordinary mind―until an unimaginable tragedy strikes. Here too is the case of a professor killed by a swarm of bees; Mrs. Hudson’s investigation of a string of disappearing household items―and a lifelong secret; a revealing anecdote about a character integral to The God of the Hive; the story of Mary’s beloved Uncle Jake and a monumental hand of cards; and a series of postcards in which Mary searches for her missing husband, Sherlock Holmes. Last but not least, fans will be especially thrilled by Mary’s account of her decision, at age ninety-two, to publish her memoirs―and how she concluded that Ms. King should be the one to introduce her voice to the world." Series: #2 in the Magic Men historical series set in 1950s Brighton, England. Synopsis: "It’s Christmastime in Brighton, and the city is abuzz about a local production of Aladdin, starring the marvelous Max Mephisto. But the holiday cheer is lost on DI Edgar Stephens. 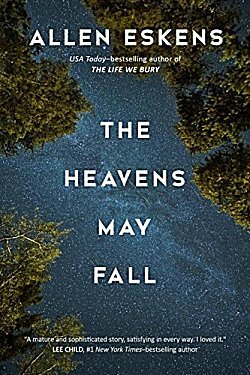 He’s investigating the murder of two children, Annie and Mark, who were strangled to death in the woods, abandoned alongside a trail of candy—a horrifying scene eerily reminiscent of Hansel and Gretel. Edgar has plenty of leads to investigate. Annie, a surprisingly dark child, used to write gruesome plays based on the Grimms' fairy tales. Does the key to the case lie in her unfinished final script? Or does the macabre staging of Annie and Mark’s deaths point to the theater and the capricious cast of characters performing in Aladdin? Once again Edgar enlists Max's help in penetrating the shadowy world of the theater. But is this all just classic misdirection?" Series: #15 in the Andy Carpenter series set in Paterson, New Jersey. Synopsis: "Defense lawyer Andy Carpenter usually tries to avoid taking on new cases at all costs. But this time, he’s happy―eager, even―to take the case that’s just come his way. Andy’s long-time friend Martha “Pups” Boyer takes in stray puppies that the local dog rescue center can’t handle, raises them until they’re old enough to adopt, and then finds good homes for them. Not everyone admires the work Pups does as much as Andy does, however. With Christmas just around the corner, one of Pups’s neighbors has just reported Pups to the city for having more than the legal number of pets in her home under the local zoning laws. Andy happily takes Pups’s case, and he feels confident in a positive outcome. 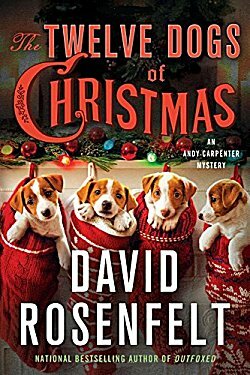 Who could punish someone for rescuing puppies, after all, especially at Christmastime? But things get a lot more complicated when Randy Hennessey, the neighbor who registered the complaint against Pups, turns up dead. Pups had loudly and publicly threatened Hennessey after he filed his complaint, and Pups was also the one to find his body. All the evidence seems to point to Pups as the killer, and suddenly Andy has a murder case on his hands. He doesn’t believe Pups could be guilty, but as he starts digging deeper into the truth behind Hennessey’s murder, Andy may find himself facing a killer more dangerous than he ever imagined." Series: #1 in the series set in Los Angeles, California. Synopsis: "East Long Beach. The LAPD is barely keeping up with the neighborhood's high crime rate. Murders go unsolved, lost children unrecovered. But someone from the neighborhood has taken it upon himself to help solve the cases the police can't or won't touch. This time, it's a rap mogul whose life is in danger. As Isaiah investigates, he encounters a vengeful ex-wife, a crew of notorious cutthroats, a monstrous attack dog, and a hit man who even other hit men say is a lunatic. The deeper Isaiah digs, the more far reaching and dangerous the case becomes." Series: #8 in the Barker & Llewelyn historical series set in the Scilly Isles. Synopsis: "At the request of Her Majesty’s government, private enquiry agent Cyrus Barker agrees to take on his least favorite kind of assignment―he’s to provide security for a secret conference with the French government. The conference is to take place on the private estate of Lord Hargrave on a remote island off the coast of Cornwall. The goal of the conference is the negotiation of a new treaty with France. The cover story for the gathering is a house party―an attempt to introduce Lord Hargrave’s two unmarried sons to potential mates. But shortly after the parties land at the island, Lord Hargrave is killed by a sniper shot, and the French ambassador’s head of security is found stabbed to death. The only means of egress from the island―a boat―has been sent away, and the means of signaling for help has been destroyed. Trapped in a manor house with no way of escape, Cyrus Barker and his assistant, Thomas Llewelyn, must uncover which among them is the killer before the next victim falls." Series: #6 in the Junior bender series set in Los Angeles, California. Synopsis: "The halls are decked, the deck is stacked, and here comes that jolly old elf. Junior Bender, divorced father of one and burglar extraordinaire, finds himself stuck inside the Edgerton Mall, and not just as a last-minute shopper (though he is that too). Edgerton isn’t exactly the epicenter of holiday cheer, despite its two Santas, canned Christmas music, chintzy bows, and festive lights. The mall is a fossil of an industry in decline; many of its stores are closed, and to make matters worse, there is a rampant shoplifting problem. The murderous Russian mobster who owns the place has decided it takes a thief to catch a thief and hires Junior—under threat—to solve the shoplifting problem for him. But Junior’s surveillance operation doesn’t go well: as Christmas Eve approaches, two people are dead and it’s obvious that shoplifting is the least of the mall’s problems. 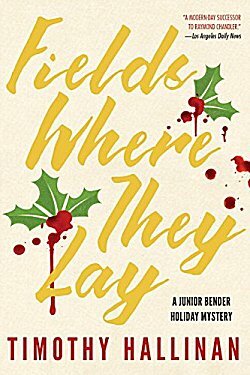 To prevent further deaths, possibly including his own, Junior must confront his dread of Christmas—both present and past." 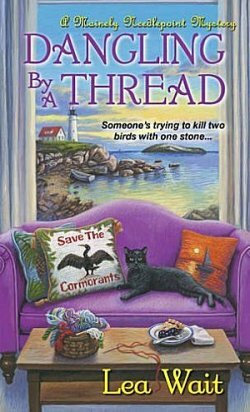 Series: #4 n the Mainely Needlepoint cozy series set in fictional Haven Harbor, Maine. Synopsis: "Hermit Jesse Lockhart lives alone on King’s Island, three miles east of Haven Harbor, Maine, where he’s created a private sanctuary for the endangered Great Cormorants. But when a wealthy family wants to buy the island and Jesse’s cousin Simon petitions for power of attorney to force him to sell, Jesse is the one who becomes endangered. Mainely Needlepointer Dave Perry, who befriended Jesse in the VA hospital, rallies the group to his defense. Angie Curtis and the ravelers stitch “Save the King’s Island Cormorants” pillows and sell T-shirts to pay for Jesse’s legal counsel. But tragically, on a visit to the island, Angie finds Jesse dead. Now the search is on for a common thread that can tie the murdered man to his killer . ."
Wow-- that's quite a lineup, isn't it? Since I have already read most of them, all I'm going to say is that there are treats in store for you all. Of the books I haven't read, I have two that I'm especially looking forward to. 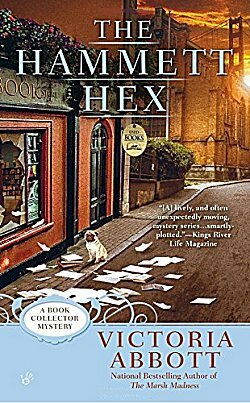 One is Victoria Abbott's The Hammett Hex-- have to be looking forward to that, since the last book in the series is on my current Best Reads list! 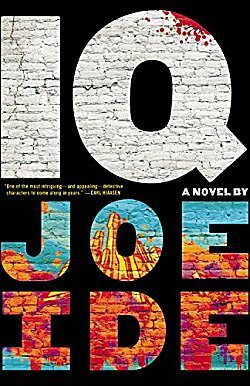 The second is by debut author Joe Ide. His IQ really has me intrigued. How about you? Did any of the books here make it to your own wish lists? Which ones? Inquiring minds would love to know! Oooh, a new Junior Bender mystery! And Echoes of SHerlock Homes looks interesting, too, Cathy. I've actually seen some very nice reviews of that one. Lots to be excited for here! The Junior Bender is a good'un, Margot, as you'd expect from Tim Hallinan. Whenever King and Klinger have talked about their short story collections, they sound fabulous; I just have to find the time to read one for myself! These keep getting written faster than I can read them! I know! I wish there were some way I could read at the speed of light! Several look inviting to me but I see you are going to review many of them, so I'll wait for the review. See if I'm still interested. I have such a big stack of books to be read--it's YUGE, and it's going to be very, very hard to read them all. I'm in the same boat, Teresa.